A pub landlord has been fined after complaints about late-night music blaring out and disturbing neighbours. 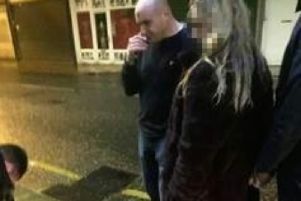 Christopher Toothill, licensee of the Sun Inn at Harle Syke, pleaded guilty at Burnley Magistrates’ Court to two offences of unlicensable activity after a prosecution was brought by Burnley Council. Officers repeatedly contacted Mr Toothill and warned him about his behaviour and possible consequences but he continued to allow music to be played beyond the permitted hours. Following complaints from residents, officers from the Pennine Night Time noise nuisance team monitored the pub over two weekends in June and July and witnessed live music being played beyond permitted hours. The court was told that the officers were able to clearly hear the music from the street. The problem was made worse by the fact that windows were left open on occasion. Magistrates heard that the pub’s licence allowed music until 11-30pm on Friday and Saturday, and to 9-30pm on Sunday. The court were told that on one occasion music was heard playing from the pub at 1am and another occasion at 11-48pm. Toothill was warned that he was breaking the conditions of his licence and the pub would be monitored but music continued to be played beyond the permitted hours. Toothill, who was the designated premises supervisor, was interviewed by Burnley Council officers and told them he was aware of the hours for regulated entertainment but said he didn’t think they were late enough. He said that he had to get bands on to get people into the pub to make money to pay the bills. Coun. John Harbour, the council’s Executive member responsible for licensing, said: “We appreciate that pubs provide entertainment for customers to enjoy in what can be difficult times for some premises. However this can’t be at the expense of local residents who have a right to a decent quality of life. “In cases like this, prosecution is a last resort and we would initially seek to work with the premises to achieve compliance and minimise nuisance. Toothill was fined £200 and ordered to pay £175 costs and a £30 victim surcharge.